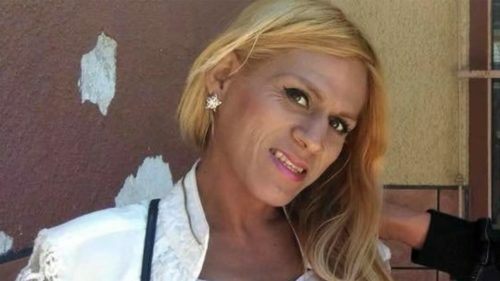 A new autopsy report on transgender Honduran refugee Roxsana Hernández Rodriguez has been released. Last year, Hernández Rodriguez’s death in a New Mexico Immigration and Customs Enforcement (ICE) facility operated by a private corporation made national headlines. An independent autopsy said that she showed “symptoms of pneumonia, dehydration and complications associated with HIV” at the end of her life in the ICE facility. It also alleged that she was likely beaten by officers before her death. “According to observations of other detainees who were with Ms. Hernández Rodriguez, the diarrhea and vomiting episodes persisted over multiple days with no medical evaluation or treatment, until she was gravely ill,” forensic pathologist Kris Sperry wrote in last year’s autopsy report. Now the state of New Mexico is saying that she died due to unrelated complications from HIV. The autopsy report says that Hernández Rodriguez died of multicentric Castleman disease, a condition she couldn’t fight off because she was HIV-positive. “This case has taken almost a year to close because the autopsy was complex and required additional testing and consultation. We wanted to ensure we answered all the questions we could about Ms. Hernandez’s death,” said Chief Medical Investigator Kurt Nolte. The Transgender Law Center has criticized the new autopsy report. “The NM OMI dragged their feet in releasing Roxsana’s autopsy report only to let ICE run the show and use the report to do their dirty work of shirking responsibility for her care,” said TLC’s director of litigation Lynly Egyes.